I wanted to like this book. I really did, as I think the premise is very likely. I’ve always wondered about the source of fairy tales and nursery rhymes and have, in the past, read a number of books based on that interest. Yet the more I read this one, the more I felt like my tail was being pulled, that I was reading an elaborate prank. 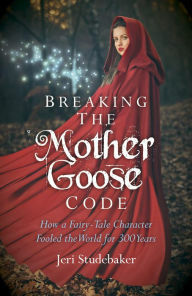 The book discusses whether Mother Goose is actually a goddess in disguise. It wouldn’t surprise me, as it isn’t unusual for pre-Christian tales to be rewritten into a more acceptable format for “modern” times so that the information survives. Yet lumping Aphrodite/Venus in with Holda/Perchta/Hel seems like a stretch to me (and I do tend to view many deities through a syncretic or squishy polytheist lens). There was some discussion of a Neolithic Bird goddess as a precursor to Mother Goose. I can see the possibility, but there was little to no discussion of other possible connections to goddesses, like Isis, who were connected to birds or had wings. I started to get a bad feeling in chapter two when the author states that the moon is connected with goddesses in all cultures, which isn’t true (to give credit where credit is due, a few chapters later it is stated in “most” cultures). Then there was the discussion of patriarchy always being warlike vs. “pre-patriarchal times” which were peaceful. Riiiight. Then nursery rhymes were divided in that manner. According to the author, the ones that didn’t mention war or violence were from the pre-patriarchal times and the ones that did were not. It is well known the fairy tales of today have been highly tampered with to make them more “suitable” for young ears. Fairy tales were originally for adults told around the fire much like ghost stories are told around campfires in modern times. One also must remember that one was considered an adult at a much younger age than current times, as early as twelve years old. However, placing the blame for violence on patriarchy is very naïve and discounts the modern discoveries of female warriors whose skeletons show that they could be every bit as violent as their male counterparts. All in all the author seems to over-simplify her argument to make things tidy, which is what makes her theories so unbelievable, I think. It is very likely that Mother Goose and her tales are the surviving and much edited stories of female divinities, but I think many of theories in this book miss the actual mark.